Vivid is a quality I associate as much with memory as image. Perhaps vivid images invoke stronger, clearer memories. Looking at the photo of my son’s half-eaten sandwich, I am transported to a railway carriage in Munich. It’s mid morning, cold but sunny, and we’re headed for Schloss Neuschwanstein. Unsure if there will be food available on the train, we’ve been to the station Rischart for sandwiches and coffee. I can still taste the crisp bread and salty, cheesy filling, and feel the sense of joyful anticipation. Visiting Schloss Neuschwanstein was the Big T’s number one chosen activity for this holiday and we all wanted the day to be fun. It was. It perhaps says a lot about me that some of my most vivid memories are invoked by pictures of food. 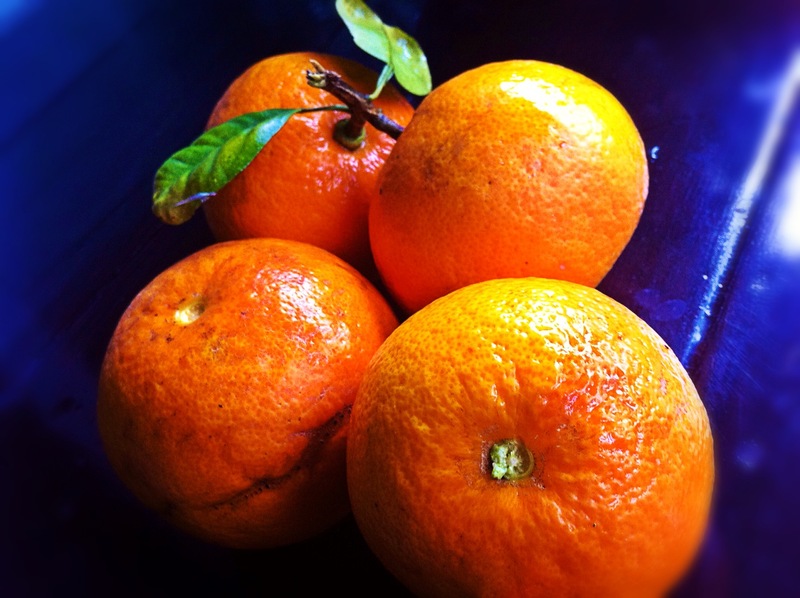 The last of the season’s grapefruit from our tree were eaten while sitting on the back steps, juice trickling down my hands. When the Big T came home with a bumper catch of fish, we spent the day scaling, fileting, smoking, making stock, and finally enjoying delicious sashimi of raw snapper with homemade sushi. Sashimi, made with snapper caught by the Big T. Photo: Su Leslie, 2014. And like most parents, images of my child trigger strong, vivid memories. 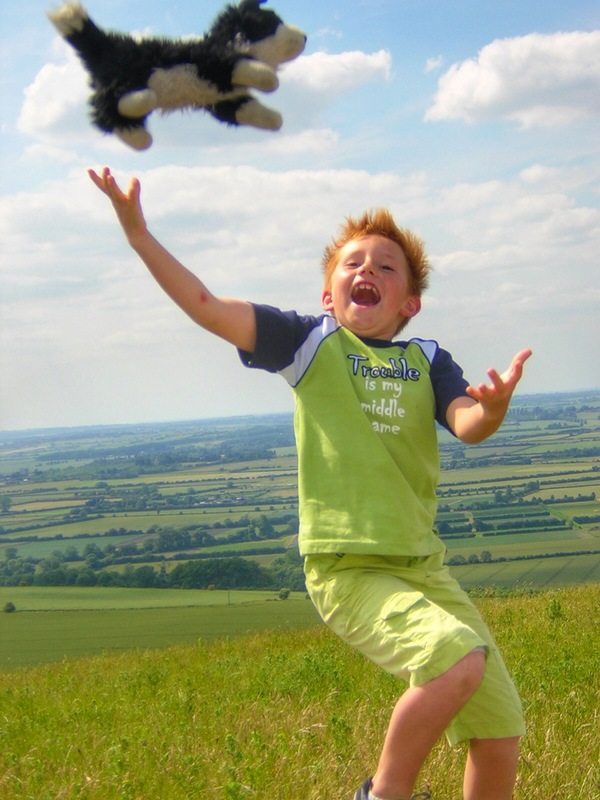 The boy-child, aged 8, playing atop Ivinghoe Beacon, England. Photo: Su Leslie, 2006. A young boy, arms outstretched to catch a soft toy being thrown by an unseen hand. The vivid, acid greens of his clothing almost blend into the summer landscape behind him. This photo was taken on a family trip to England in 2006. We had spent a week around London and were finally heading north; a slow trip punctuated by stops in places the Big T and I had lived 10 years earlier. A lunch-time picnic by the canal in Berkhamsted was followed by a drive through Ashridge Forest and –inevitably given our love for elevated vistas — a walk on Ivinghoe Beacon. My memories of this day are still vivid, helped by images such as this which remind me of my exuberant, joy-filled son and his capacity to take pleasure in everything life has to offer. This post was written for the Daily Post Weekly Photo Challenge: vivid. These are great memories – I can see why they are so vivid in your mind. My mum lives in Tring, your photo on Ivinghoe beacon was so recognisable. Do your relatives live at Berkhamstead? Hi Julie. We lived in Berkhamsted for about four years in the 1990s, and I know Tring well. No family there, but we always try to stop somewhere in the neighbourhood whenever we are in England. Earlier in the year we had lunch at The Valiant Trooper in Aldbury. Our son’s first experience of an English country pub and he loved it! Small world Su! Theres nowhere like a proper English pub, I haven’t visited that one, the Aldbury area is lovely though, great choice to stop. Isn’t it! And I totally agree about English pubs. We lived in Berkhamsted for 4 years and explored most of the pubs in the general area (Sunday cycle followed by a pint … and on to the next pub, etc). I hadn’t been to the Valiant Trooper before but it was really good. The food was great; and just what we needed on the day. I think what impressed our son the most was the fact that it was so obviously a neighbourhood pub; people came in and chatted with the barmaid and other patrons. It has that lovely community feel. Thank you Joanne. I love that photo; it pretty much sums up the character of the boy. Su, I really enjoyed your interpretations and choices. They made me smile with happiness. Great post, It was vivid memories that came to mind for me too! and boy that sandwhich looks good, I am just going to go to the bakery right now! You have inspired me in more than a blogging sense!